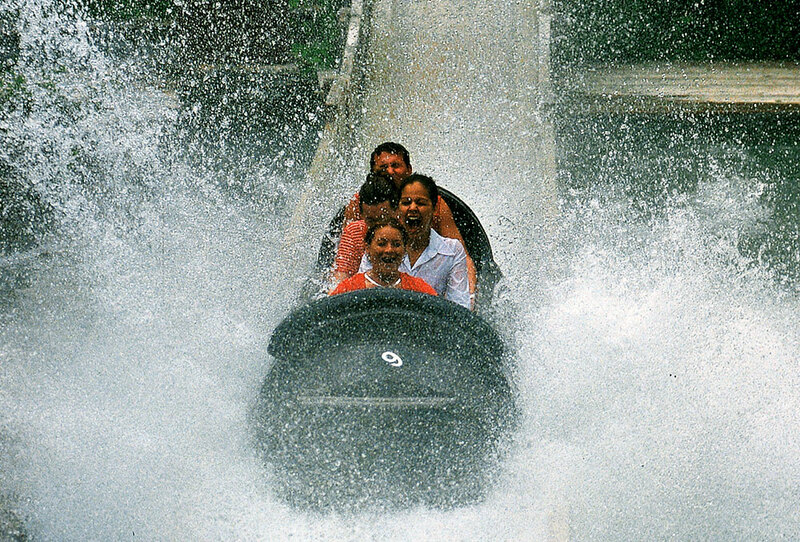 Whether you like to make your splash from a 5-story drop, while battling wild river rapids, or by taking aim against opponents in a friendly water war, Silver Dollar City’s water rides are just good clean fun for everyone! In case you don’t already have a favorite, here’s a refresher on Silver Dollar City’s three fun-soaked water rides. Since 1981, American Plunge has been providing Silver Dollar City guests with all-American fun. This traditional log flume drops riders down 5 stories at up to 35 miles per hour for a spectacular splashdown. 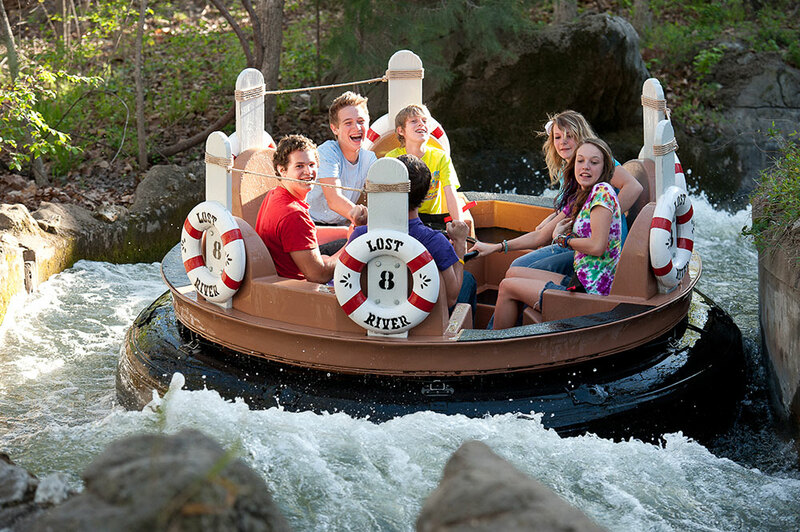 You’ll twist and turn as you and up to five others brave the raging whitewater in a circular raft. Each dip and whirlpool you encounter increases your chances of getting completely drenched on this fast-paced adventure! There might be a VERY slim chance of making it through American Plunge and Lost River unscathed, but when you board your RiverBlast raft, you’re signing up for a thorough soaking. Not only are you the target of your opponent’s water blasters, spectators on shore are taking aim, too! 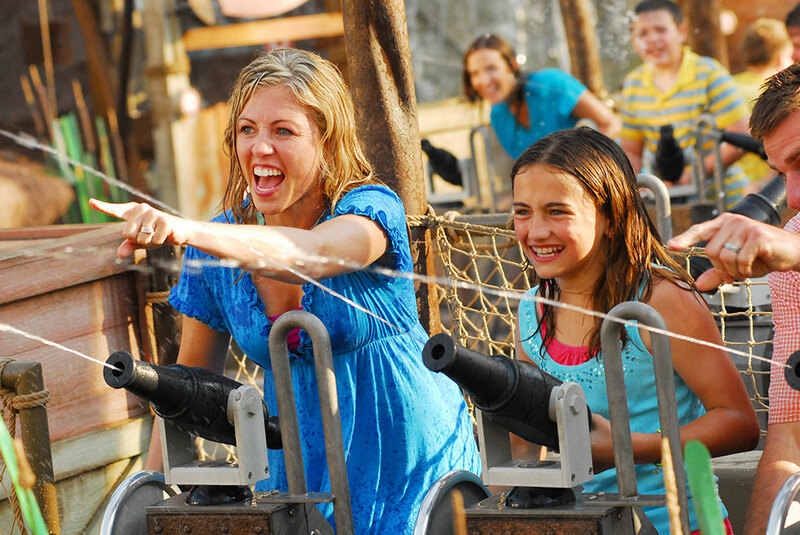 Join us at Silver Dollar City this summer and splash into some serious fun! If you really want to get soaked, you should make White Water a part of your visit! With 13 acres of water rides and slides, this wet and wonderful water park is the perfect complement to Silver Dollar City’s water rides. With a Splash & Play ticket, you’ll enjoy unlimited access to both Silver Dollar City and White Water for three days this summer. Prices start at just $31 per day for adults!